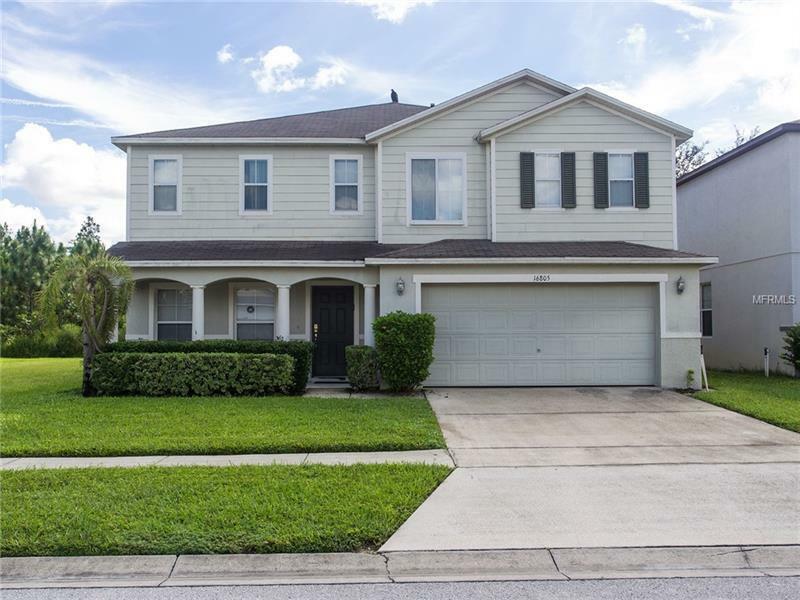 Beautifully maintained 5 bedroom 2.5 bathroom fully furnished home in the peaceful Sunrise Lakes community. This home features a large extended pool deck with heated pool and spa and a rock cave. Don't miss out on the great view of the pond. Large master suite with separate shower and garden tub and jungle theme has lots of surprises and offers the perfect retreat. The master bedroom closet has a Winnie the Pooh theme and doubles as a nursery. Garage is currently being used as a games room for lots of fun with pool table and Foosball table but could easily be converted back into a nice sized space for your vehicles. New AC installed in October 2018.With a formal living room, formal dinning room, family room and breakfast nook, this home has lots of room for the whole family. Ready for your to start taking bookings today as your own vacation rental or grab your toothbrush and move on in. Make it yours today!! Pet Restrictions: Documents allow birds, fish, dogs and cats kept as pets only (no breeding/selling). All animals must be housed inside and if outside must be leashed. The usual pick up after your pets wording as well.